This very peaceful scene was a picture I took from the water on September 12, 2011. We were on the Washington Island Car Ferry heading back to the mainland of Wisconsin. 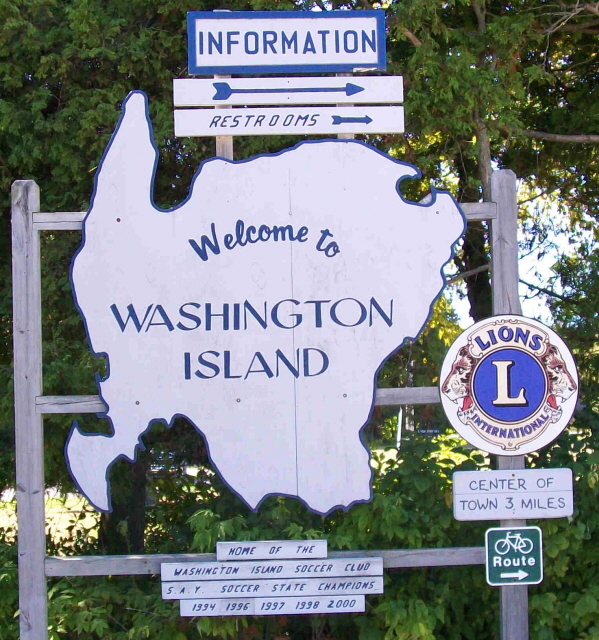 Washington Island is 5 miles from the tip of Door County. The view is of Detroit Harbor on the island. My husband and I spent 2 nights on the island to attend a nephew’s wedding. A slight flush of fall color is visible in the trees. Here is the ferry, one we went by on the way back. Door County is a special place in Wisconsin, the pace of life is slower here, especially on the island. I will tell more of our visit soon.